Alex started his hospitality career by bartending in 2004, and what wasn’t supposed to be a long term gig — became a life long calling. After his plans to attend Tulane University for grad school were derailed during Hurricane Katrina, he found himself behind the bar longer than expected. He managed bars such as Firkin and Friar, Christabelle’s Quarter, and Gramps before moving over to the distributor side of the business. Somewhere in between he was also a high school teacher, swim coach, and paramedic but was always happiest in the hospitality industry. 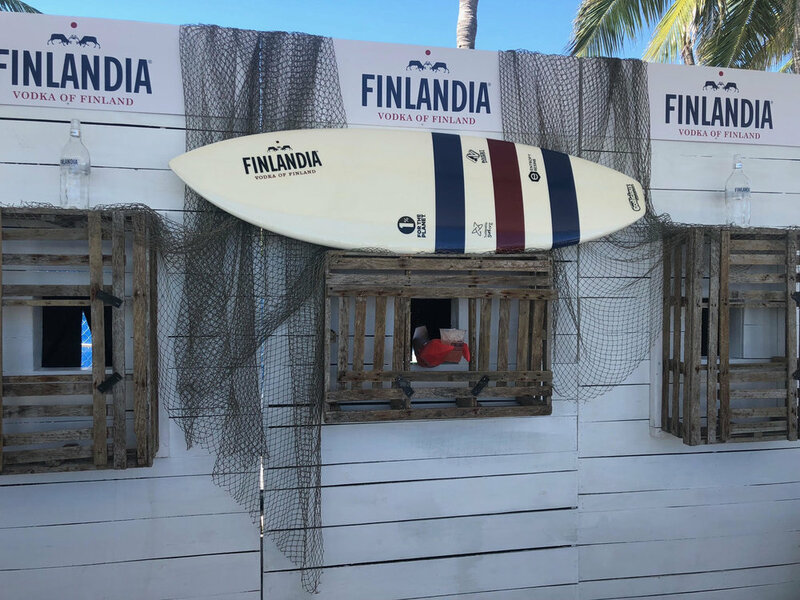 This year we brought a new feature to the South Beach Seafood Festival, by inviting 4 of Miami’s Best mixologists to each create a Finlandia cocktail. Courtney Lane from EO/Broken Shaker and the first winner of the South Beach Seafood Festival Cocktail Competition brought a delightful banana and elderflower Finlandia cocktail. Joseph Jebelean made a creative celery and Mastiha cocktail using Finlandia. Damon Roseberry’s hibisicus-infused Finlandia and pineapple juice cocktail was perfect for the warm weather. All these bartenders were chosen for their creativity and dedication to hospitality. They did an amazing job for us this year and we look forward to whatever idea comes to life next year for the best seafood festival in Florida. I loved making people laugh, with magic, dancing, singing and general entertainment. There are many, many worse jobs in the world than bartending, and I’m fairly certain I had more fun behind the bar in my day than just about anyone. What I love about my new role is teaching that the cocktails comes second to the guest experience. Great service trumps a great cocktail. Just as I did for the hidden wall cocktail. As a raspberry ice tea. Clean, crisp and refreshing. It’s a drink you can enjoy for any occasion. If I’m out grabbing a drink, I’m usually a shot and a beer kind of guy. I spend the entire day tasting cocktails, so there’s not a need for more once I’m off the clock. I briefly played with the Costa Rican national water polo team. We hope to see you next year at the 7th Annual South Beach Seafood Festival!